By using AppRadio's Audio Source Control (ASC) keys. 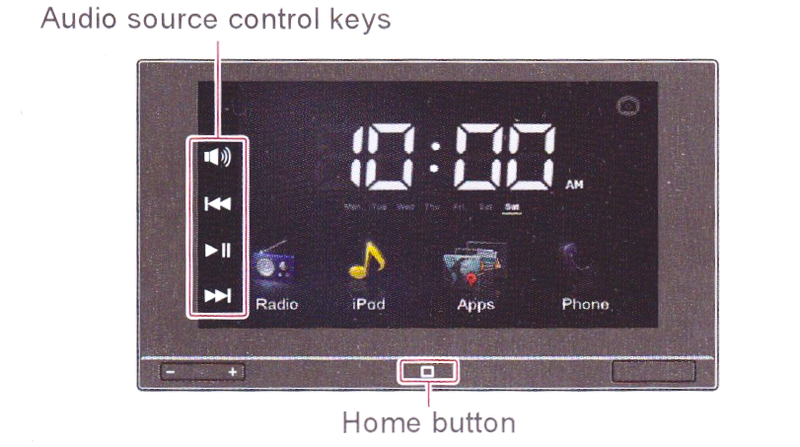 These keys show up along the left side of any currently displayed screen on your AppRadio and can be accessed by pressing the Home button on the AppRadio twice. The keys included in the ASC panel are Mute toggle, Previous track, Play/Pause and Next track (as seen in the picture above). Using these keys, you can operate any audio source playing in the background without having to leave the screen currently displayed.